The OECD has produced two reports that analyse urbanisation and provide suggestions how to improve the governance of large urban areas. Cities are home to over half of the world’s population and host to many of today’s environmental challenges. They are also catalysts for environmental policy solutions. In co-ordination with national, regional and local governments, the OECD has been working to bridge the divide between the achievement of ambitious environmental goals and economic development. More densely populated cities tend to generate lower per capita CO2 emissions (based on data from the OECD Metropolitan Database). The OECD hosted the Green Growth and Sustainable Urban Development side event to discuss how different levels of government can work effectively together to achieve green growth and sustainable urban development. Find out more about the side event. How can governments deliver cost-effective policy responses to global economic and environmental challenges? The OECD synthesis report, Green Growth in Cities, draws on findings from a conceptual framework, in-depth urban-level green growth studies (Paris-IDF, Chicago, Stockholm and Kytakyushu) and two national-level studies on urban green growth (China and Korea). How can cities and metropolitan governments work in tandem with national governments to change the way we think about responding to climate change? Cities and Climate Change reveals the importance of addressing climate change across all levels of government. Partnerships between urban and rural areas within a functional region are a unique form of territorial co-operation. When successful, rural-urban partnerships can improve the exploitation of existing resources, increase the economic potential of a region and generate greater well-being and equity in service provision. The OECD, in collaboration with the European Commission, is using a new analytical framework to assess urban-rural linkages and to help identify the governance forms that can enhance urban-rural interactions. 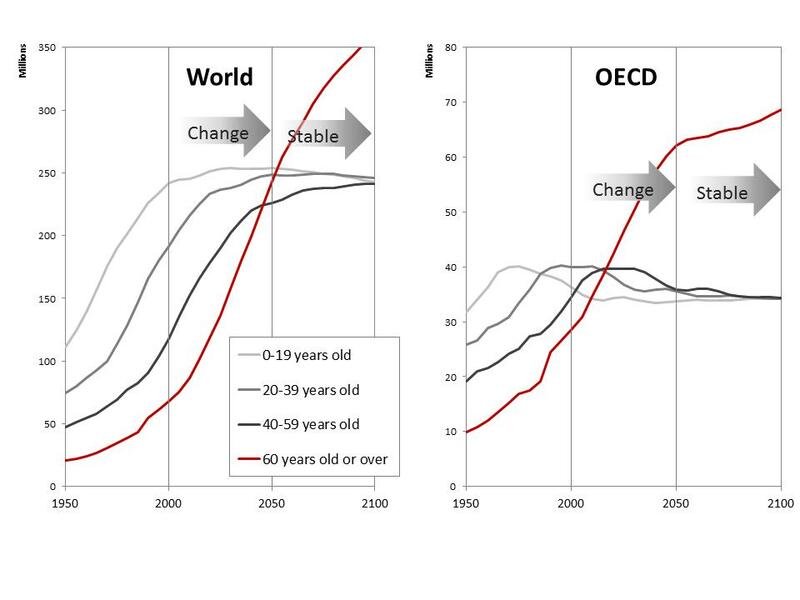 Across the OECD, the elderly population increased more than 1.5 times faster than the total population between 1995 and 2008 and is expected to continue to grow in the coming decades. According to UN statistics, 80% of older people in developed countries will live in urban areas by 2050. Cities thus have a critical role to play. The OECD project on Sustainable Urban Development Policies in Ageing Societies explores innovative approaches to urban development that can help mitigate the effects of ageing populations and make cities more sustainable and liveable for all generations. Transport infrastucture is an ingredient in regional development, as well as a key factor for making cities productive, sustainable, liveable and inclusive. What cities for the next 3 billion?